If you’re analytical minded with a love for facts and figures, accounting clerk could be the ideal entry-level job for beginning your career. Accounting clerks are responsible for producing financial records of business transactions for their employing organization. 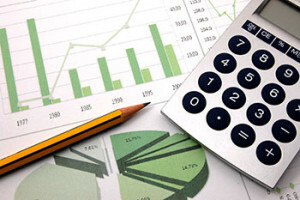 Clerks create statements about the company’s expenditures, revenue, accounts payable, accounts receivable, and losses. Accounting clerks make certain that the records accountants analyze are accurate. In today’s digital world, specialized computer software has automated some of an accounting clerk’s duties. Even though the Bureau of Labor Statistics reports employment of accounting clerks will decline by eight percent through 2024, the job has a high turnover rate as workers advance. Starting as an accounting clerk could be the perfect path for aspiring accountants and auditors to take. Accounting clerks primarily record, update, and check financial transactions to produce the balance sheets and income statements managers use to monitor funding. Clerks will post debits and credits within bookkeeping software, spreadsheets, or online databases. Some may directly interact with clients by receiving cash, checks, or vouchers for their organization. Accounting clerks may also organize billing, sum up accounts, determine interest, make loan payments, code documents, and handling purchase orders. Clerks may specialize their work in accounts payable or accounts receivable depending on their type of accounting. When any errors are founded in financial records, accounting clerks will reconcile the difference and guarantee business data is kept exact. The Bureau of Labor Statistics estimates that there are 1.8 million accounting and auditing clerks working across the United States in various industries. The largest percentage (12 percent) work in accounting, tax preparation, bookkeeping, and payroll services. Accounting clerks may find employment in retail trade, wholesale trade, healthcare, social assistance, finance, insurance, and manufacturing. Many clerks are employed through local government agencies, stores, hotels, banks, schools, real estate firms, and private corporations. Those working for securities and commodity brokerages are among the highest paid. Accounting clerks typically work full-time, although overtime may be required at the end of the fiscal year. Most of their day is spent working independently in an office. Succeeding as an accounting clerk will usually require some post-secondary education to fine-tune math and computer skills, according to Account Temps. Accounting clerks often will obtain a certificate or associate’s degree in accounting from an accredited community college or trade school. Taking courses specifically in accounting, auditing, bookkeeping, accounting information systems, and financial statement analysis is suggested. In some cases, clerks can be hired with only a high school diploma though. On-the-job training is customary for new accounting clerks to learn computer software systems under a supervisor or experienced accountant. Pursuing the Certified Bookkeeper (CB) credential through the American Institute of Professional Bookkeepers (AIPB) could be helpful. Doing so will require two years of clerk experience and passing a four-part test. Overall, accounting clerks work for larger organizations to carefully record the financial details of transactions, including their date and amount. Without these reports, accountants, auditors, and cost estimators wouldn’t be capable of assessing the company’s efficiency. According to the Bureau of Labor Statistics, accounting clerks are compensated with an average yearly salary of $38,070, or mean hourly wage of $18.30. Working as an entry-level accounting clerk can help students and new professionals begin gaining financial experience before springboarding into more senior accounting roles.